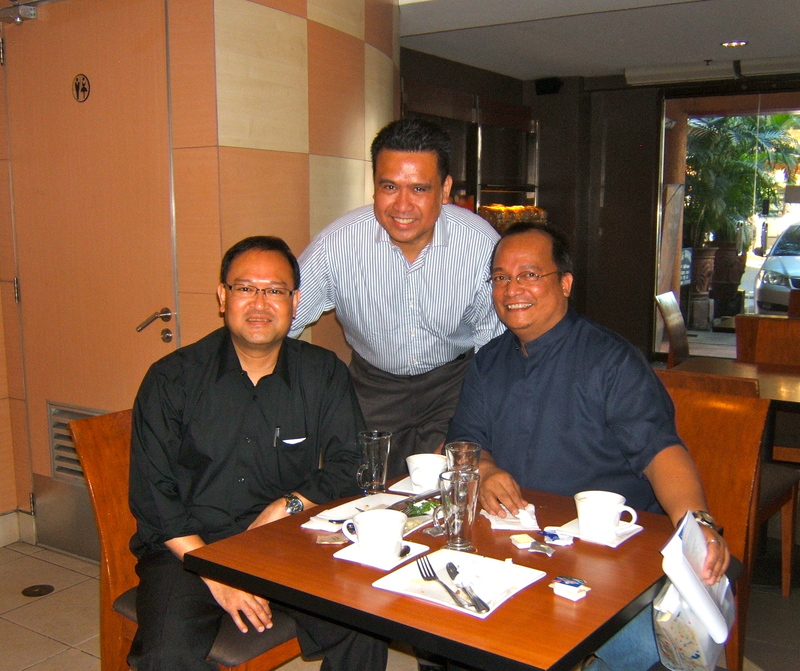 In June 2010, Benigno “Noynoy” Aquino III is poised to become the next president of the Philippines. Many Filipinos at home and abroad are rejoicing after a relatively bloodless election and many are pinning their hopes on Noynoy to ‘save’ the Philippines. SO NOW WHAT? The next Philippine president is starting out with such a bad hand that he has to solve the country’s economic woes, overwhelming poverty, grave social issues and rampant corruption, all at the same time. Good luck! Not much will change unless we Filipinos at home and abroad do something about it. That’s right. We should take personal responsibility and take action. Change will only happen with grassroots community leadership and involvement. I am inspired by the message of Fr. Nonong Fajardo of Adamson University of community, grassroots leadership. A leader doesn’t have be an Aquino, a Marcos or fill in the blank of your favorite name among the 150 or so Filipino oligarchs. Authentic, community leaders are among us. Real democracy is NOT a spectator sport. You just don’t elect your favorite candidate, sit back and relax. 1. Meet Tess Domdom of Hong Kong, formerly of Catarman, Samar, Philippines. Tess works as a caregiver in Hongkong and last February 2010 she recruited over 30 community leaders to meet with me and rally them to donate and give to a project back in their hometowns in the Philippines. Tess is currently saving her money and working with other caregivers in Hong Kong to facilitate a medical mission in her hometown in Catarman, Samar. Tess gets involved, takes action and in my definition, a true, community leader. I will ‘elect’ her anytime and she gets my vote. 2. Meet Minnie Villanueva of Israel, formerly of the Mountain Provinces, Philippines. 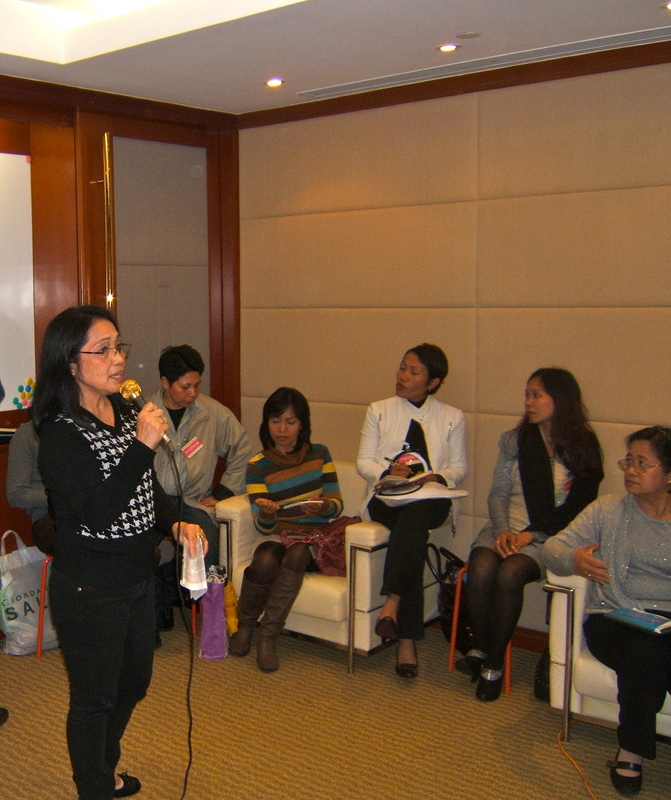 Minnie also works as caregiver in Israel and with other Filipina leaders she put together a series of grassroots fund raising events in Tel Aviv. She and her group raised over $1,000 US dollars from their meager salaries to build a community health fund in order to provide for emergencies for Filipino workers there and to also help back home in the Philippines. Minnie gets involved, takes action and in my definition, a true, community leader. I will also ‘elect’ her and she gets my vote. I’m sure that there are many examples like Tess and Minnie who exemplify grassroots, community leadership and are trying to make a difference in the diaspora or back home in the Philippines. I believe Fr. Nonong is on to something as he continues to nurture grassroots leadership in the Philippines. Real, systemic change will only happen with grassroots community leadership and involvement. This entry was posted in Diaspora Donors, philanthropy, Philippine poverty, Philippines, Poverty and tagged community involvement, diaspora, grassroots leadership, phlanthropy. Bookmark the permalink. I will inform you of our new website in a while. About the two ladies and pehaps there are still lots of htem spread all over he world, may I congratulate them for their enviable work. They are truly filipinos. 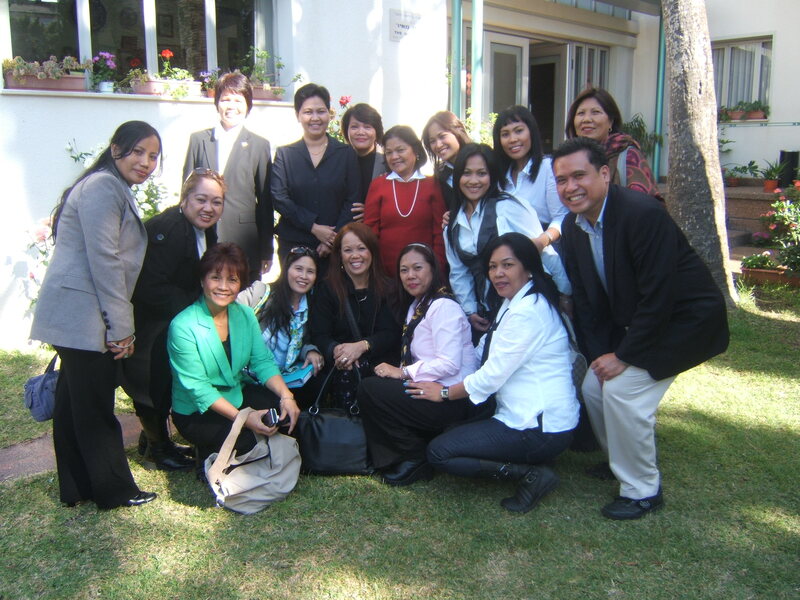 We at worldwide filipino Allinace,Inc., have projects on community development. We are happy to infomr you that one of our trustees is from Makilala, NOrth cotabato was elected representative of his party list. At Makilala,tehy will be developing their hotsprings Ecotourism and New Israel Ecotourism village. Teh hotspring is located at the foot of Mount apo, while the New Israel Ecotourism village offers spirital and environmental noursihment among users. They are also looking for investors in these enterprises. I have been to many Mindanao provinces as part of the Rare fruit organization. I have seen many fruits still unseen here in manila, I thing if we could only provide a fast transport to bring the fruits here, we will not only have many fruits, but we will also help those people in MIndanao, that will bring prosperity there and may ultimately bring peace. Your proposal to develop this self-sustaining project of developing fruit exports in Mindanao seems like a great idea! I’m setting up the Bayanihan Foundation where ideas like this could flourish by networking, partnering and collaborating with like minded people that wants to make a difference, one project at a time. Let’s connect some more and find ways to collaborate to make this happen. Maraming salamat po!